You might be curious where I’ve been the last couple of months. Things have been super slow here on the blog and I’ve needed to take frequent breaks from my three times a week posts. I’ll start with what happened to us earlier this month. One morning back in March my husband woke me up at 6 a.m. saying he had severe chest pain every time he took a breath. He was in so much pain he was shaking. I was very scared so we went to the ER. There he was diagnosed with bronchitis and sent home with pain killers. The next day, the entire family came down with a terrible stomach virus that sent our youngest to the hospital for dehydration. My husband also got sick, but the chest pain went away. At the beginning of this month he began complaining that the chest pain was coming back. Neither of us really believed he had bronchitis. He ended up going to our family doctor who did an EKG. The EKG was abnormal and she was very concerned he was suffering from pericarditis, which is an inflammation of the pericardium (the sac around the heart). She sent him straight to our local heart hospital. There they ran another EKG and determined the same thing. They put him in the hospital for the night and ran a CT. His cardiologist was originally concerned that maybe he had a heart attack (my husband is 31 and not overweight or with any health problems at all), and the CT was to show if he had any calcifications. The good news, no calcifications, the bad news, a mass between his heart and lungs. The doctor originally said the mass appeared to be on his lung, which scared us beyond belief. The next day after another CT, the mass was found to be between his heart and lungs, possibly attached to his pericardium. After being in the hospital for three days, his cardiologist and surgeon decided to do a biopsy. We were told there was a possibility that it was just a pericardial cyst, but no one knew for sure. That week was very scary. He went into the hospital on a Monday and ended up having surgery on Friday. The surgeon discovered that my husband did indeed have a pericardial cyst and removed the entire thing. Since then, he has been recovering from surgery, and getting back to work. He visited his cardiologist today. His EKG was perfectly normal and he was told his heart is in great shape! So, that’s where I’ve been the last few months. All day sickness and extreme fatigue mean not much desire to blog. 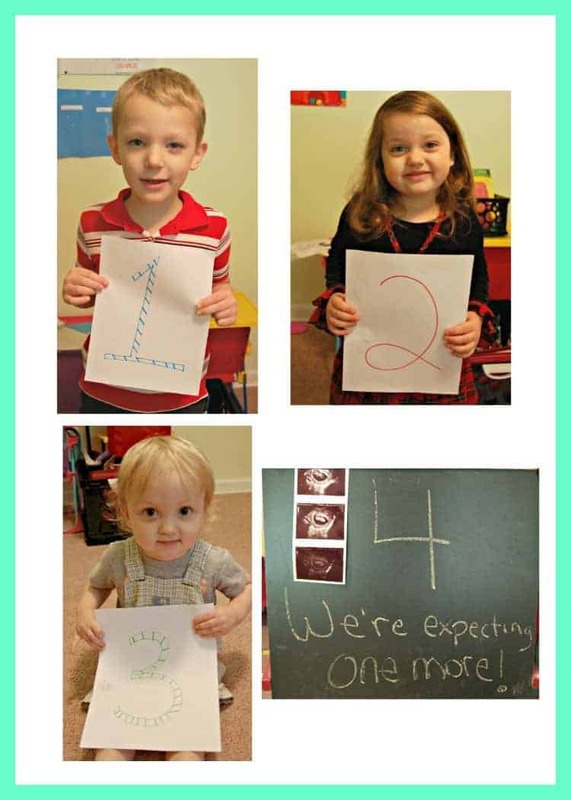 Baby #4 is due February 1st and I am feeling much better and ready to get back to blogging! Congratulations! What wonderful news all around! Hello! What a relief that the EKG was normal, and that you are expecting number 4! It’s refreshing after a season of trials to be poured on with blessings. May God continue to bless you.